Be first with the latest! Durable craftsman trousers with low crotch and tapered legs. The model has regular fit and is referred to as low crotch or drop crotch, with tapered legs in the denim industry. 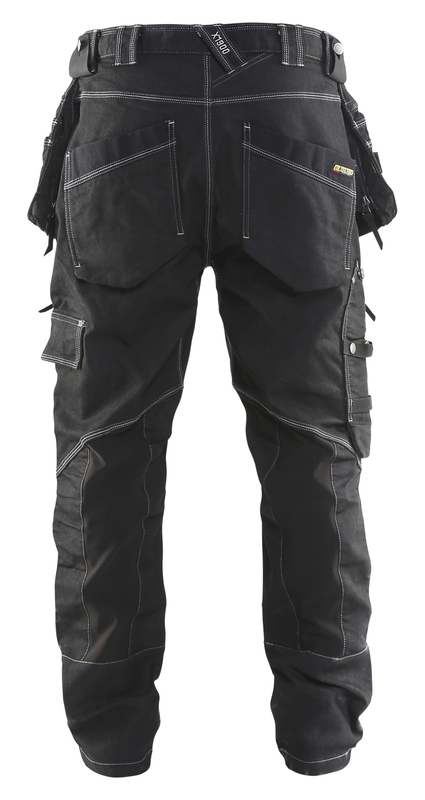 The trousers are made of Cordura® Denim with stretch function and designed to hang comfortably on the hip. For optimal ability to move and great comfort, the trousers have stretch panels in the crotch and on the calves. 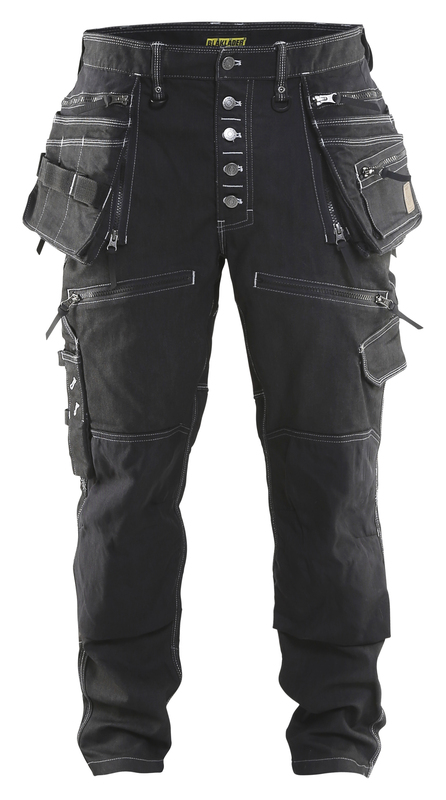 The knees and the functional pockets are Cordura® 1000-reinforced and the nail pockets have zippers, which allows loose or fixed nail pockets.